We have work for you! UniCafe student restaurants, along with staff restaurant Serpens and WELL-cafés wake up every morning to serve the customers in their everyday lives and special occasions. We at UniCafe wish that our staff enjoys their work and grow with it. Maybe you are one of our future colleagues? Read further and contact us! 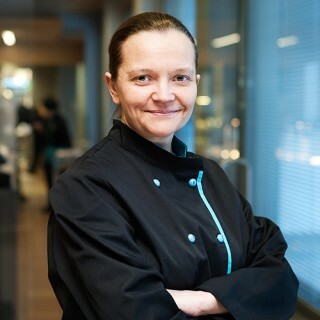 The nucleus of UniCafe is to support the work of the students and staff at the educational institutions of Metropolitan Helsinki. We do this by offering the customers outstanding restaurant services – lunch, coffee houses and special events services. UniCafe is part of HYY Group, the responsible business of the Student Union of the University of Helsinki. Apart from pleasures to our customers we offer an inspiring and interesting place of employment for almost 200 restaurant professionals who enjoy the youthful environment. We invest in promoting well-being at work as well as letting employees grow professionally. Work can be – and should be – fun! Over 60 years of history has redeemed its place as the largest student restaurant company in Metropolitan Helsinki. UniCafe is a term known by all. However, we have a lot more to offer. Our staff and business restaurants and coffee houses are everyday meeting points. On top of that we organize hundreds of business functions and special events every year. We are not a faceless giant, but a team the size of our personnel. It is a matter of honour to us that each and every one of us feel they belong in the group. Careers covering the interesting spectrum of restaurant business, many career paths and opportunities, the security of a solid company. These are the things UniCafe employer image entails. Below is a brief description what we have to offer – as well as what we expect from you. • We are a stable and reliable employer; our parent company HYY Group made EUR 33.5 million in turnover and EUR 2.8 million in net profits in 2014. • Values steer our choices and show in the long-term commitments of our operations. • HYY Ravintolat employers have a voice and they get heard! • We don’t just work a lot, we also invest in well-being in the workplace. • Appreciation of diversity and multi-culturalism are our additional assets. • Comprehensive occupational health services are at our disposal. • Henksu, a team of employee representatives arranges recreational, culture and sports activities for all employees. • As we serve our customers almost around the clock and every day of the year, we’ll very likely be able to find a work rhythm that would fit your needs. Work at our restaurants requires you to possess certain qualifications and right attitude. It is essential for you to be good on paper, but even more so when present. So don’t hesitate, just contact us! Whether you are a veteran in the restaurant business with lots of experience or are just dreaming of becoming one, start growing with us. Let’s build excellent everyday services and exceptional special events – for the customers and us alike.